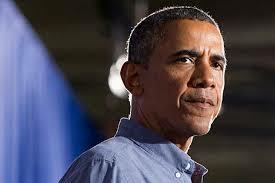 Forty-eight hours previously, President Obama was going to make a call to arms against Syria. 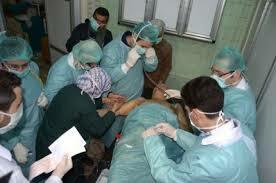 Evidence has been found that Sarin gas was used on the population killed. At the last hour yesterday, President Obama pulled the rabbit out of the hat with the announcement that instead of hitting Syria with missiles as a punishment for killing hundreds of children and adults of his own people with chemical weapons identified as Sarin gas, their sponsor, Russia, will take over and collect the chemical weapons and see to their destruction, saving Obama from a vote that would not pass at this time to do his bidding. The fact that Assad has killed over 100,000 of his people by modern and horrible conventional weapons in their 2 1/2 year old civil war is not being dismissed in our minds, only by our government's agenda. It is, after all, Syria's own civil war. A country of over 22 million people, several million are already overpowering the capabilities of Jordan and Lebanon, who is full of terrorist groups already. Many took refuge in Egypt and are not even registered as refugees due to the bungling of Morsi. Their government troops number about 296,000 and it is they who must have used the Sarin gas on their own people. Otherwise, Al Qaeda terrorists are part of the rebels along with other terrorist groups. Christian groups are divided in their loyalty. Syria is backed by Iran and Iran is backed by Russia who backs them both. The country is now physically and economically in ruins. Homes and cars have been demolished by weapons. Businesses are no more. One anti-government activist, K. Ibrahim, is one of the refugees who is completely bewildered by the USA action. She doesn't understand what is happening or why but was against US striking Syria. 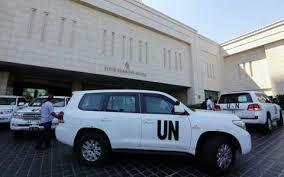 Just recently the Syrian government bombarded towns across the Damascus suburbs with air and artillery strikes. Barrages around Homs went on between rebels and security forces. There is infighting between the rebels. It has all made normal residents continue to run to another state such as nearby Lebanon. Did our government realize that Russia will now feel free to be in the act of selling to Iran some S-300 missiles so they could down other ballistic missiles and commercial airplanes from a distance of 120 miles? They will be in a good position to get away with such a sale of one of the most lethal anti-aircraft systems in the world. If any sanctions are created, Russia is ready to sell them the Antei-2500,AKA S-300VM, or SA-23 Gladiato, something ground forces would be using. .
Russia is also willing and able to build them a 2nd nuclear reactor in Bushehr, which would make it very clear to Israel what their intentions for that is for. Russia, when the USSR fell apart, has been in dire need for money. China has also, and has been loaning out money to the USA. They both have become weapon suppliers to Iran and Syria which give these countries something to counter Western superiority. Selling these missiles will net Russia about $700 million and puts Putin in the lead of all nations. Iran's Defense Minister, Brigadier General Hossein Dehqan, is anxious for this sale, promised in 2005. Obama is now giving serious consideration that international monitors would be able to take over and destroy Syria's arsenal of chemical weapons. He can't tell now if they will really succeed. He feels that any agreement must verify that the Assad regime keep its commitment, and who is the verifier but Russia, the fox watching the henhouse for us. Syria's foreign minister, Walid al-Moallem, said yesterday that Syria will turn over its chemical weapons arsenal to Russia, the UN and other countries, which is quite a concession. It was just this week that Assad said they never possessed chemical weapons. Obama asked his congressional leaders to postpone a vote to authorize the use of force while he pursues "this diplomatic path." Some of our leaders, however, feel that this gives Syria time for further mischief and play on our instincts of not striking if things go awry. Securing chemical weapons stockpiles in the middle of this civil war is going to be an impossible goal. He didn't promise to stop his war. The steps since Monday have led to Russia clashing with the USA and France in making the proposal binding and backing it up with the threat of force or not. Kerry is pushing for a full resolution on this measure and will meet with Sergey Lavrov, Russia's foreign minister, in Geneva on Thursday to work on their disagreements, so its not all light and roses yet. Kerry wants swift action. Ten days ago Obama described the Security Council as "completely paralyzed and unwilling to hold Assad accountable and now our government is doing just that. Carl Levin,, chairman of the USA's Senate Armed services Committee, said that a resolution to authorize a military strike is set it aside for now if Assad complied is "kind of a twofer". It's a way of keeping the pressure on Syria and on Russia to get rid of chemical weapons, which is the goal of the whole effort. If they fail, it would keep the authorization to launch a strike as planned originally. There is no doubt that Syria has committed atrocities and the question is what the USA and the international community is prepared to do about it because such acts also threaten our own security, and especially Israel's security, as if they hadn't been receiving enough threats already. What affects Israel's neighbors affects Israel's security as well. Israel must stay out of this civil war, but is prepared if it reaches their shores. "The Jewish state deployed strikes in July against Syrian missile convoys destined for one its principal enemies on its northern border, the Lebanese-based Hezbollah." If Sarin gas is ever used on Israel, their reaction will be "fierce." One personal comment about the USA standoff from an Israeli minister was "“One doesn’t need to wait for tens of thousands more to die in order to intervene.” I think that is how many of us feel, though intervening doesn't necessarily mean to react with more violence. Would Russia be then ready with their own S-300 missiles and down ours? Would the 2 superpowers be pulled into battling each other? First the twin towers and now Cruise Missiles landing all over the USA.....not so big a "stretch of the imagination" at all nowadays!